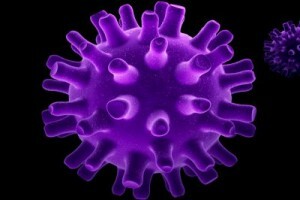 According to a new research, a genetically modified strain of the Herpes Virus has proven to be effective in killing cancer cells and preventing the growth of tumors. The strain, referred to as T-Vec, was being used to treat patients suffering from melanoma. This is reported to be the final phase of testing of a new drug. People suffering from herpes virus should be encouraged to regularly take medication to prevent or reduce outbreaks as those drugs also help reduce the risk of passing it to partners. Unlike the widely known chemotherapy which tends to kill any proliferating cells, the virus narrowly targets cancer cells and kills them. This is touted to be a highly efficient approach to fight against the disease. Another benefit of this method is that it activates the immune system to fight against cancer. The study was conducted on a group of 400 patients with melanoma, the deadliest type of skin cancer. It was found out that over 16% of the patients that received the T-Vec treatment showed a lasting response for an extended period of 6 months. On the other hand, a mere 2% of the people that were given normal treatment showed any signs of improvement. Chief Executing of the Institute of Cancer Research, Prof. Paul Workman said, “We may normally think of viruses as the enemies of mankind, but it’s their very ability to specifically infect and kill human cells that can make them such promising cancer treatments.” The drug, which is being produced by Amgen, is awaiting approval from the FDA.